June has been representing clients in the Anne Arundel County with steadfast dedication for the past decade. 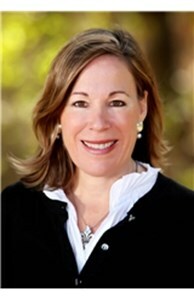 Her devotion to excellence allows her to exceed clients real estate expectations. Having moved a number of times throughout her career, June understands the value of a trustworthy real estate agent. Her aim is to provide clients with calm transition from one home to another. June’s professional expertise combined with her instinctive ability to maintain dependable relationships provides a secure atmosphere for anyone looking to purchase a home in the greater Annapolis area. June is a Mother of 3, and a wife of 30 years. Her oldest daughter is a graduate of William and Mary College and is currently a Dermatology Resident at the University of Maryland, her other daughter is a graduate of James Madison University and is currently an elementary math teach , and June’s youngest son is heading into his fourth year at University of South Carolina. Having active children has lead June to become a vibrant member of the community. June’s family mindset provides buyers with an inside link to the different communities surrounding Anne Arundel County. This imparts her clients with the ability to make well rounded decisions supported by reliable information. June recognizes that buying a home entails a large emotional and financial commitment. It’s for that reason that she handles each and every client with the utmost professionalism and integrity. Merely finding her clients a house is not satisfying to June, she is dedicated to helping each person discover a home that exceeds their expectations. June’s dedication to providing her clients with the most professional experience is what sets her apart from other real estate agents. Her knack for balancing very personal clientele relationships with professional flavor allows her to develop a nuanced understanding of what her clients need. June’s combination of professionalism and her authentic passion for relationships provide her with the necessary skills to navigate the legal side of real estate, while maintaining intimate relationships with each of her clients. Real estate agents must be committed to developing trust. June has been in the real estate business for over a decade, and since her business began she has made a concerted effort to provide her clients with security by being transparent throughout the buying/selling process. June takes the time to walk each client through every step of the process of selling or buying from start to finish. She is devoted to her clients peace of mind, and will go to whatever length to make sure her client is comfortable throughout the process of buying or selling their home. Integrity is the key element that sets June apart from other agents. She is dedicated to maintaining honesty and reliability, and it’s these qualities that have allowed her to build a respected reputation in Anne Arundel County as well as the surrounding counties and currently is a board member of Anne Arundel County Board of Realtors. June strives to provide her clients with highest level of professionalism. Being a homeowner and having a family allows June to empathize with her clients. June understands the level of investment that her clients are making. In so doing, she balances professionalism with a heartfelt desire to attain the very best overall home buying/selling experience for her clients. "June, thank you for all the incredible work you did to sell our home. We thank you again for your love, your support, your faith, your commitment, your patience, your service, and your prayers throughout."